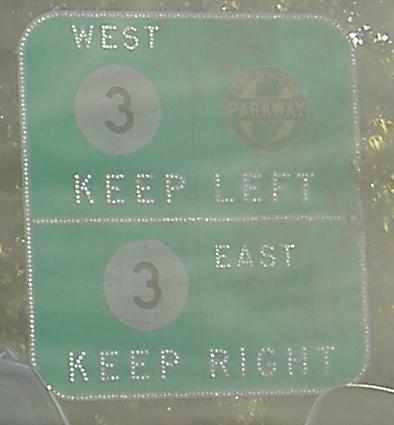 It's not hard to follow all the signs and get out of the Meadowlands, but a lot of the roadways are really complicated, and half the time you'll find signs directing you two ways to the same route. At the same time, if you really know the best way out (to avoid the hour-long lines after games), you'll find yourself going against the signs completely. I'm not sure if even season ticket holders know the right way to go from all different parts of the complex to every route. This railroad traverses the Meadowlands from Lyndhurst to Secaucus, so this seems like the right page, even if it's not part of the Sports Complex. 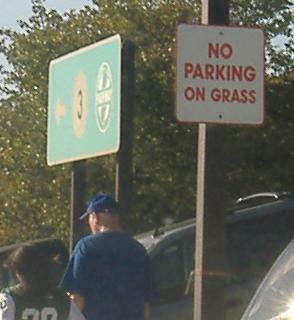 The one sign inside the Meadowlands sports complex that I took a few years ago. 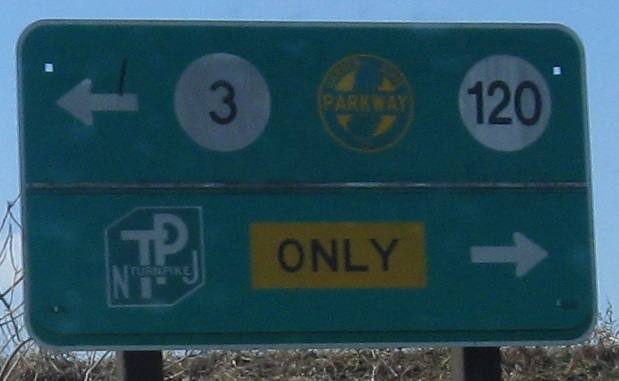 Meadowlands signs are erected by the sports facility, and other than the trivial problem of the two-digit NJ 120 shields, the more serious problem is the lack of reflectivity. Starting to exit the parking lot after the Jets game, turning left toward NJ 3, and running into the perimeter road where finally traffic diverges. 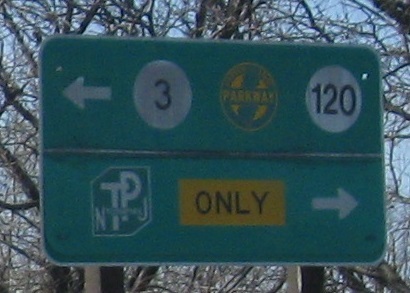 It looks like the arrows within the parking lot itself can be moved to direct traffic to the right instead of the left for most of the routes (toward NJ 120), but NJ 17 traffic is stuck heading to the outside. 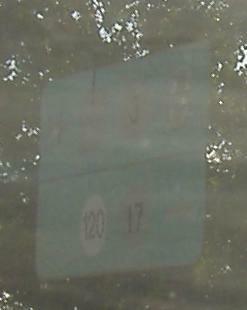 (I guess it's for NJ 120 NB to NJ 17, based on the third sign, since one could also take NJ 3 to NJ 17, especially if heading south.) 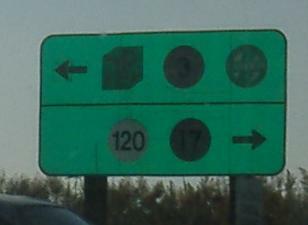 The last photo is the same sign as the one before it, just at the next exit over from the parking lot. Even in the daytime, the signs are unreflective! I guess when it's gametime, even the police patrol is busy. 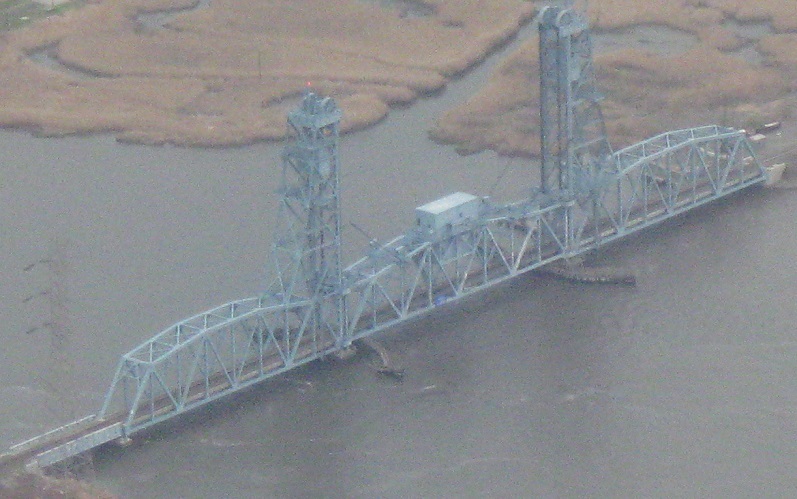 Cars were parked all the way out onto NJ 3 WB, which definitely shouldn't fly (that would be state police patrol area). 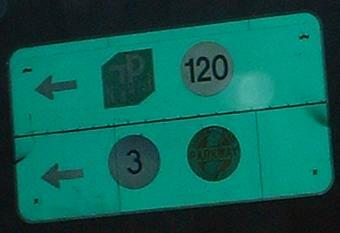 Signs along the south perimeter. I can tell you that now, turning right doesn't force traffic onto the Turnpike, but I can't tell you if that was the case in 2012. Turnpike Exit 16W construction changed a lot of things. This is the merge from the Turnpike into the EB perimeter roadway. 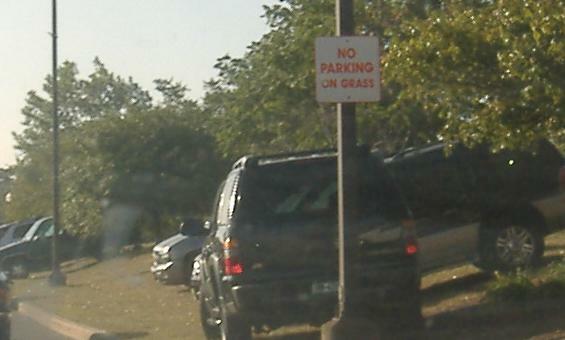 Both signs are designed correctly, but the one on the right was installed incorrectly. The installer must have thought that the symbols were intended to be aligned, but no, the one on the left is for the mainline and the one on the right is for the ramp. 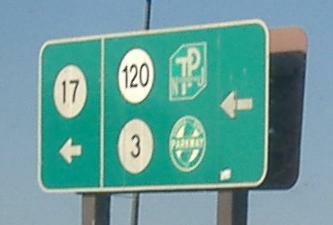 One more internal sign... getting close now (no mention of the other routes). 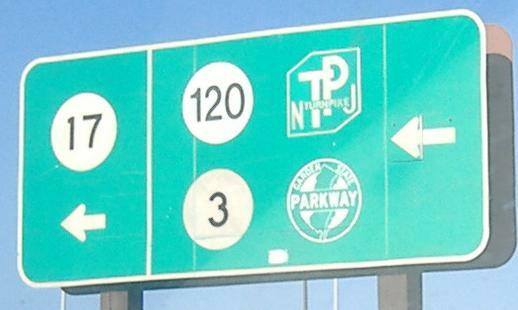 One more, courtesy HNTB, on the Meadowlands ramp directly to the Turnpike Western Spur. 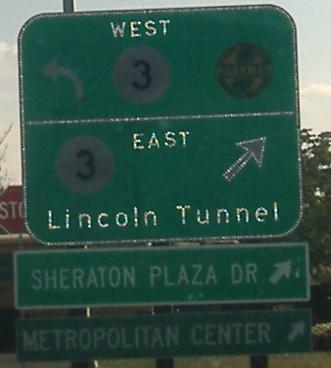 The SOUTH sign leads right into the northern tolls (Exit 18W) and the NORTH ramp gets you in free free free toward the George Washington Bridge. 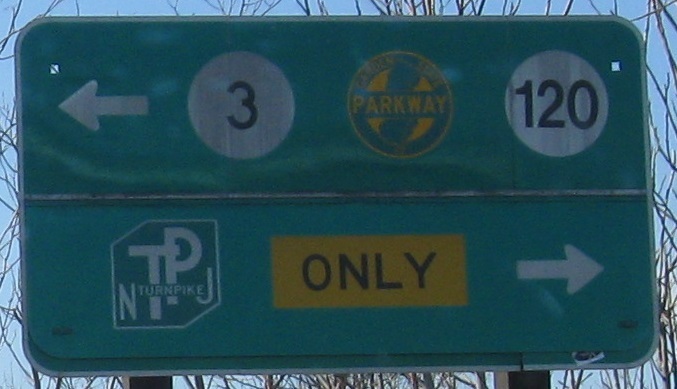 Not button copy, but not new, and showcasing ancient changeable-message technology, NB around the stadium at the ramp to NJ 120 SB.